2.Wireless connectivity with high security. 3.Automatic,so as to reduce human headache and error cases. Theses are the gas ,water and electric meters but specially equipped with 3g systems so as they can convert and then Emmit the units covered into the collectible data packets. 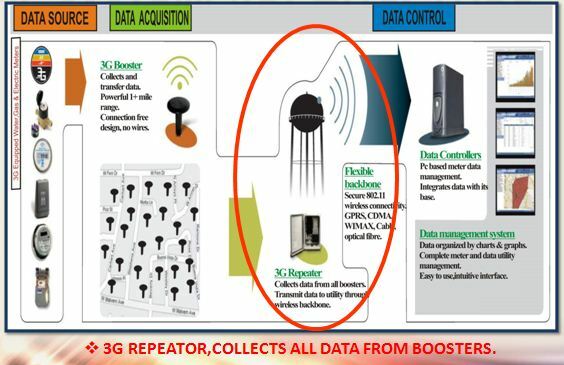 These are the 3g boosters which will collect all the emitted data packets from meters and also boost its quality as suggested by its name then the collected data will be transferred to the repeaters. 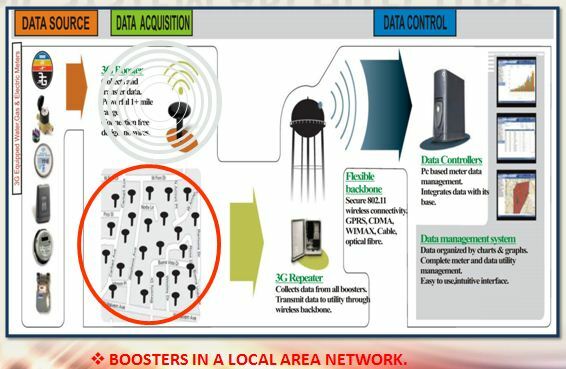 Repeaters are simply the large boosters.All the data packets from various boosters are collected by the repeaters and is sent for data management after its decoding. 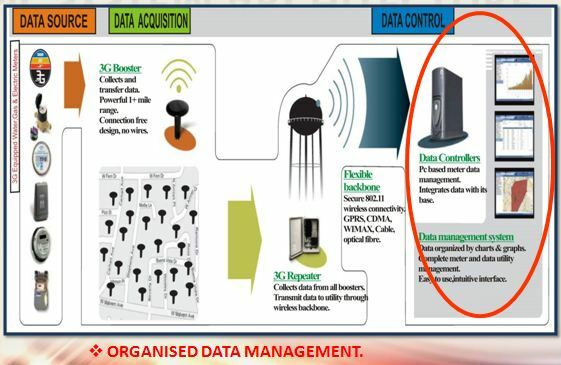 Finally data is managed through advanced scheme by graphs and charts for decoding the data packets into the units again and then bills are formed to be posted to consumers. 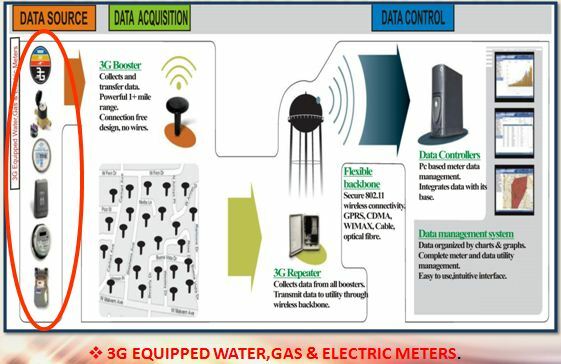 That”s all about automatic metering by 3g,please give your comments over it and feel free to ask any query in any case. If you need a presentation over it , please write me,i will surely try to post it here.